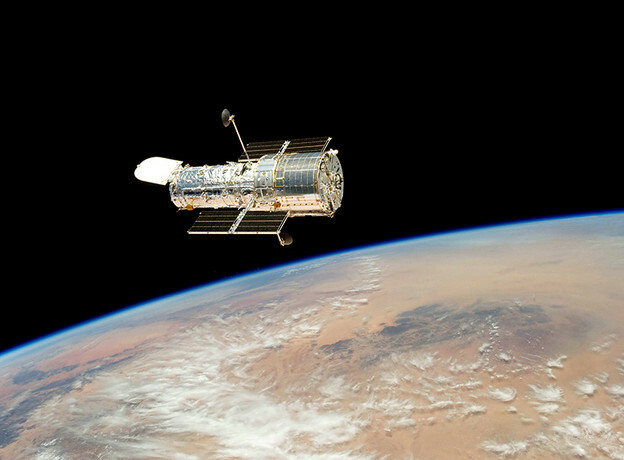 The Hubble Space Telescope drifts over the Earth, 2009. Image courtesy of NASA. Fisher: OK, I understand what is being asked and pretend that I no longer wonder what it is that a poem is and I’m guessing that we don’t all agree about this. It is clear to me that I don’t have a clue. I think that we might as well agree what the reading limits are. What is being asked for in a selection, 5 or 10 pages each or 1,500 or 3,000 words? I would be willing to conform to the suggestion of the convener and make a selection of parts, which is how most work first gets peer or public attention and particularly academic attention as “poems,” as unique blocks of substance or as parts from a larger sequence or amorphous mass. I continue to find it interesting that for practical reasons we are continually asked to fragment our work and present the damaged results as the artifact and then we will spend our time deciding what aspects of that damage, from what has been selected, can be named science as part of its content? Adair: I don’t think it’s a matter of what a poem “is,” or even what “science” is. Surely the idea of potentiality is more productive here. We’ve all seen multiple definitions of what we’re happy enough to recognize, more or less hazily, as a poem, & as many or more disparate exemplifications. But it can happen that at some point, an urgency enters: we’re moved to try to reinvent the very notion of what a poem might be. I’m wondering if somewhere within what prompts that impulse to reinvention, or even to push further some line of investigation that has recently or long ago established itself, is what we might agree, more or less, to call “science” — even if further prompted to question what “science” might be in order to relieve the disquiet. The reason I was disturbed by the readiness of the PoemTalk discussants of Zukofsky’s poem 12 to confine “condenser” to the realm of metaphor is that it seems to imply a world in which science entirely serves poetry by providing cool metaphors for ideas that have already otherwise been arrived at. The thing is, does anything about science or the scientific approach suggest an aesthetic problem needing radical tinkering with current strategies to address? Even if yes, it’s entirely possible that the “scientific bit” need not be demarcated in the resultant work, which will issue also from other ideas, concerns, aesthetic influences, etc. — from everything going into what Robin Blaser, in his essay on Olson’s use of Whitehead, calls “the fundamental struggle [in poetry] for the nature of the real” — for of course it cld be argued that science, or perhaps better “techne,” extends into the entire fabrics of our lives. Certainly, we find scientific disciplines that exclude what we might reflexively assume are sine qua nons of science itself, such as reliance on empirical investigation (Copernicus didn’t do this; string theory so far can’t), or a primacy placed on the ability to predict, with or without explanation (of little interest to archeology). Not the least interesting of questions is why “science” has come to mean some things to us, out of the many things it plausibly cld? 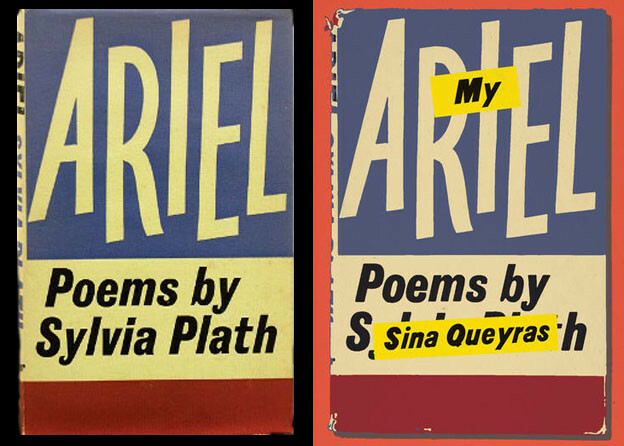 & why “a poem” might have also. A key problem smoldering here, & precisely prompted by the suggestion that a poem is a crippled thing hewn out of “a larger sequence or amorphous mass,” is that of synecdoche. The “practical reasons” for which, with an implicit apology, this has to be resorted to seem to me rather ineradicable condition. This may focus attention on an abiding problem in its various phases. Now it’s my turn to miss an attachment here — ! Fisher: “Confidence in Lack” is the first essay in a small book of four essays titled Confidence in Lack and published by Writers Forum, Sutton, UK, in 2007. The preliminary work for the essay was to contribute to the proceedings of the Poetry and Public Language conference held at University of Plymouth in 2007 and published by Shearsman Books, in the book that gathered those proceedings, edited by Tony Lopez and Anthony Caleshu, in the same year [for the essay, plus other poems Allen sent to the forum, see the “Poetry Supplement”]. In celebration of the confirmation that the universe is expanding. Fisher: “Friendly Polemic”: I should start with the physicality and palpable substance of aesthetics and its relation to consciousness and cognition, its cross-disciplinary application, call it poetry or science. I’m going to leave that for another complexity. On the accounts of some of what has been said across this email desk, I may be unqualified to write poetry. I have a formal education in human physiology and contemporary physics, drawing and painting practice and art history, but not in English Literature. I guess I had better sign off now in case I terrorize my neighbors, but I am persuaded otherwise. Scientific concepts, proposals, demonstrations and providing argument through repeatable evidence, present a mismatch of ideas poorly characterized as ‘science’ or any part of a single body of thought. There is no rational basis for agreement between those committed to different paradigms or conceptual schemes. Thomas Kuhn noted that the language in one scientific paradigm is incommensurable with language in a competing paradigm. Nature, the “International Weekly Journal of Science,” as they subtitle it in the UK, was printed on Bible paper when I first started reading it, it was that authorative. Henri Poincaré maintained that Euclidean geometry and an altered physics was needed to keep the total system of beliefs simpler, rather than adopting a non-Euclidean geometry and the theory of relativity. I immediately think of the perpetuation of theoretical and critical writers still convinced of the convention to separate space from time in their sentences. The use of vocabulary in the Nature journal differs considerably through different disciplines and laboratories, if I was to name the linking threads I would caricature their differences into a sameness. I would say that they are writing up their work with a view to getting support from the war machine or its homely counterpart, commerce. You can’t present Quantum Mechanics’ algebraic signs or biotecnologies’ scan-outs across a funding board’s table and expect to get support, you have to spell out the proposed advantages. Baron (C. P.) Snow’s 1959 radio lecture (I don’t think it was a Reith lecture) and its follow up responses in the Listener (the BBC journal at the time that published transcriptions of radio talks) and eventually the responses of the elite literary commentaries around F. R. Leavis, are for me debates about class and privilege. I sometimes appreciate Leavis’s literary criticism, but his social manners, like Snow’s, are out to lunch. J. Z. Young’s great radio talks (Reith Lectures in 1950) were already published as Doubt and Certainty in Science when Snow was broadcasting later in that decade. (Young was a scientist of animal physiology and paid attention at the time to the nervous system in squids. I attended Young’s talks on aesthetics at the Tate, I think they were called “Beauty & the Beast”). They can be pasted against fifties ‘popular’ paperbacks of Weiner Heisenberg’s Nuclear Physics and Hermann Weyl’s Space Time Matter. Before he was rector at Black Mountain College, Charles Olson had attended lectures by Willem De Sitter, had read Albert Einstein’s crucial 1905 and 1910 papers (Einstein declined Olson’s invitation to talk at Black Mountain). Olson was also reading widely, Carl Sauer’s geographies, Wilhelm Reich Cancer Biopathy, Norbert Weiner’s cybernetics. When we had lunch I said, “Surely poets like you aren’t interested in the cosmos or the world or humanity” (only kidding). My point is that Olson had understood that the figurative and imaginative life of poetry directly links to the poet’s physicality. His Proprioception paper is a strong indication of this. It is an understanding that aesthetics is physical and is a component of consciousness. Josef Albers, Homage to the Square, Night Shades, 1957, © 2003 the Josef and Anni Albers Foundation. I am a poet interested in vocabularies, but I am also engaged in what it is that glows yellow this morning through a quietening mist. What does it mean to be alive, desking activity on the basis of probability of exactness or statistical or Boltzmannian approximations, the outcome is both contingent on successes and fraught with giving damage to humankind in the name of improved food manipulation, better animal, plant and human health, or readiness for the extended alternative to more exploitation. I appreciate the erudite comments from my literary peers and superiors, but I do wonder what assumption I am making. Isn’t all language in the world metaphorical, isn’t metaphor what Jacques Derrida named the white man’s myth? What about the complexity proposed by William Empson? Are scientists, as we charactertize this huge range of competent and irresponsible Cretans (Epimenides the Cretan says “All Cretans are liars.”), really thanked for their improved use of vocabulary. How many of my peers are as angry as I am or as worn out as I get, continue to use antiquated ideas of spacetime in the weird discussion of narrative, in their tragic reiteration of the violence of logic and its perpetuation in a bundle of societies we call civilization? I’m making this sound personal and grumpy about the world, well the world is wonderful and I love it, but that makes me stridently protective. It seems that I am making myself into the bad boy, but really I find literary exchange difficult. I will write again, maybe discussing the matter of aesthetics and health in the community and ethics and perhaps then indicate why I think so-called scientific concepts, proposals, providing argument through repeatable evidence and demonstrations continue to be important, but my premise draws from understanding my aesthetics. I hope this is readable in this form, I’ve added it as an out-of-date Word attachment in case that helps. I own up to sarcasm, but it was much more widely meant than an address to this particular Jacket2 group. Yes, I think there is a wider debate saying that we might be more specific in the discussion than simply saying poetry. I found this startlingly clear at the Royal Geographical Society conference last week. There were three sessions of papers and readings dedicated to Geography and Poetry. But having said that, does the category “science” permit a wider range of disciplines than the category “poetry”? At an epistemological level there are different disciplines in the category “science,” in “poetry” maybe there are fewer. Yes, I will consider and respond to this matter of health and also what Tina called citizen. Pierre recently wrote an essay on my work in terms of health. I haven’t read through all of Peter’s or Joan’s responses yet and will do so tonight. most eagerly the untying of the knot. Hubble’s orbit outside the distortion of Earth’s atmosphere allows it to take extremely sharp images with almost no background light. I’m making this sound personal and grumpy about the world, well the world is wonderful and I love it, but that makes me stridently protective. reached me unblurred by any atmosphere. The decoherent rendition of this little collage, drastically whittling the real or potential complexities/contradictions: There you go, in christianity was the dream of science. Key here seems to me to be “without position,” at least without a position secured by narrative or any guaranteed route from themes to particulars. A corollary would be that the particulars are, necessarily, what they are, must often seem odd, arbitrary, or just baffling, & are to be dealt with as such — & by “particulars” I include individual words or phrases. “Casually breaks vacancy”? — why not the vacancy of the page before the next phrase, or the vacancy of the imagination that has preoccupations but no relevant particulars until they arrive, “disparate” as they risk being — “OK, I understand what is being asked and pretend that I no longer wonder what it is that a poem is and I’m guessing that we don’t all agree about this …. I continue to find it interesting that for practical reasons we are continually asked to fragment our work and present the damaged results as the artifact and then we will spend our time deciding what aspects of that damage, from what has been selected, can be named science as part of its content?” (from Allen’s initial response to the request for relevant poems). “So we think the values are clear / … / existence learnt on assumption” (stanza 6). I hope my own sense, at least, is now clear — clearer, actually, than it had been before, via this relatively close reading so far of the “damaged result” that is “Hubble” — that the poem’s minute particulars & thorninesses of language, & its choices of content, are not separable in its response to/intervention in the complexities of the world in which the poet states he finds himself; neither object nor method of reference are self-evident things. The next question would be: Where is Hubble, either the man or the space telescope, in all of this? What comment is being made on “the confirmation that the universe is expanding”? “Reprieve” again: affection is the reprieve but the exorcism hardly pure. Arum is a flowering, berry-bearing plant found in Europe, North Africa, & East Asia, with the highest species diversity of any plant around the Mediterranean; it comes in many variants, & every part of all of them is poisonous. We come into the anger, the bitterness of its sarcasm, thro’ effort of interpretation (the stanza also sets up a series of references to vegetating that will continue in 13 & 14). Stanza 18 (“Hows planned implode bodily necessity”), again without once mentioning human subjects, compactly evokes expanses of locked-in situations of domestic abuse. I was looking at your “Blood Brain Bone” project on microfiche last week. Do you remember giving this to tENTATIVELY, a cONVENIENCE when he visited London for a Neoist apartment festival? The day after you sent your first essay to this group, tentatively mentioned I might be interested in looking at “Blood Brain Bone” when I visited him. I said, Allen Fisher? I have an email from him in my inbox right now! We looked at the first two fiches in tENT’s library. We were enchanted by the scope of the concept, the way you filtered the medical and scientific data with the performance notes and the graphic sculpturing of the records. The fiches and their manuals reminded me of an apothecary card catalog. We also enjoyed the participatory and non-dogmatic nature of the invitations you pose to the reader/audience. tENT told me about the project’s background. I’m interested in the way you combined your subjective experience with the scientific recording and then made the performance for the Fluxus show. It so happens that tENT has written a number of reviews of your early work on GoodReads. We hope to return to “Blood Brain Bone” and write a review of it together. Great to hear this. I will get back to you.